Robotic Process Automation is an application of technology which aims at automating the business processes. It is governed by the business logic and uses structured inputs. 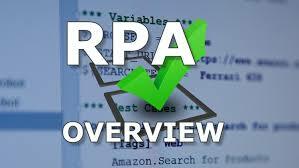 RPA technology is a software robot based technology which can shape up the software which imitates a human operator that can log into systems, enter data, perform calculations or other operations and then after logging out the system, using RPA tools. 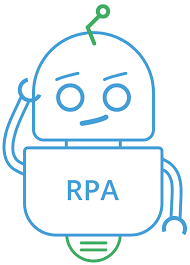 The efficiency of RPA is such that it ranges from acting as simple as just generating an automatic response to emails to position hundreds of thousands of bots, each of which is programmed to automate the jobs in an ERP based system. 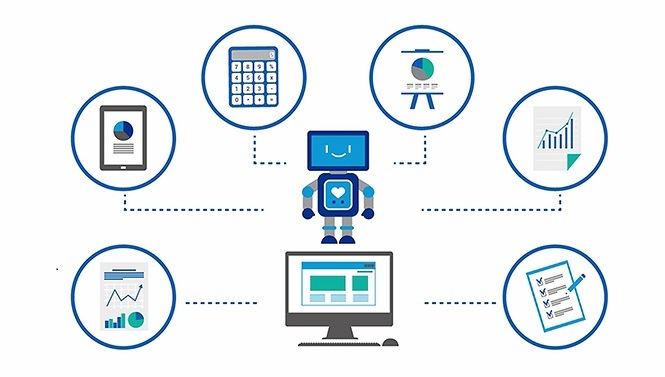 RPA enables a company to efficiently and quickly implement the technology in the system without making major changes in the infrastructure and the concrete systems. RPA technology has set its footprints in majorly all the sectors and each day it is thriving to widen its scope. Be it financial industry, healthcare, retail or human services, RPA has enabled these industries to work at par with the technological development and help them in improving the operational efficiency, reducing costs and increasing margins. Robotic – To imitate human activities, programming is done in such a way that complex tasks are made to work automatically like robots. Process – It is a sequence of activities/ actions that are taken in order to achieve the goal. Thus, RPA is nothing but mimicking the human behaviour in order to perform a sequence of steps/actions to fulfil a goal without human intervention. It is a process of gathering screen-display data from a legacy application to display data through a modern UI. It has given the computer systems, the ability to perform tasks that require human intelligence and intervention. RPA training course in Hyderabad is the new buzz which is letting the businesses, take a new jump in the market and evolve with better technologies.